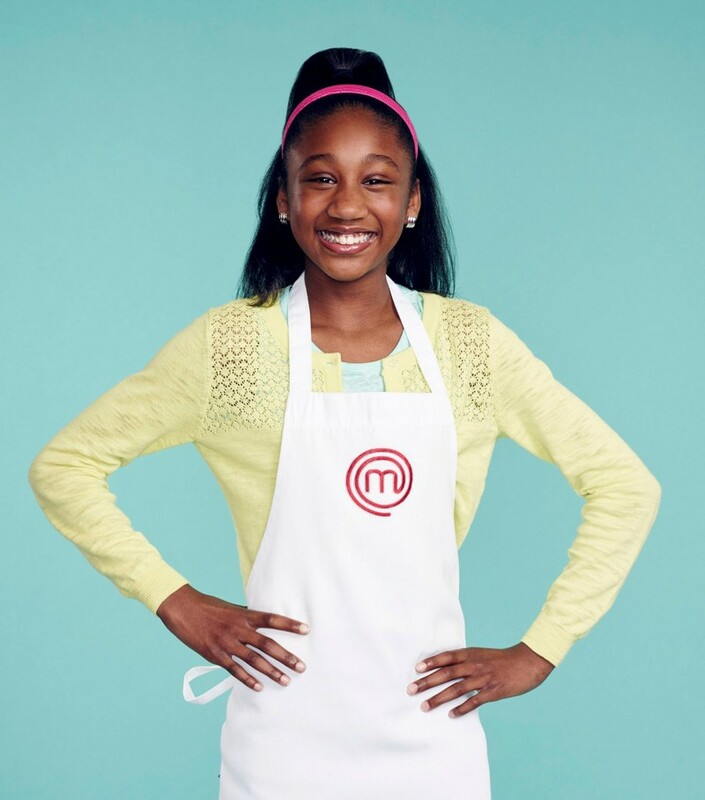 Home Positive Vibes Black Girl Magic Meet Twelve-Year Old Jasmine Stewart America’s New MasterChef Junior Champion! 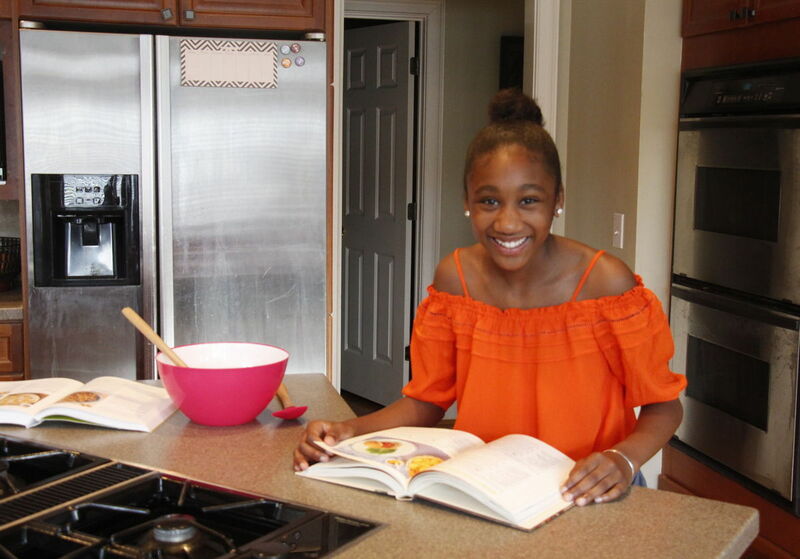 One day in the not so distant future, 12-year-old Jasmine Stewart will be cooking gourmet meals in the most elegant and expensive restaurants in the world. Damn, she could even own one! 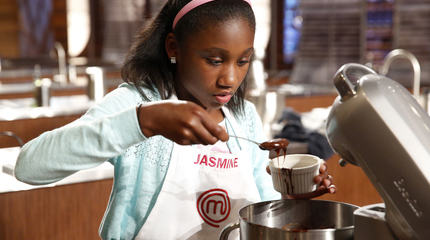 The sixth grader is the newest winner of Junior Masterchef picking up a trophy and the whopping $100,000 grand prize. “It’s truly amazing. Never in my wildest dreams did I think I would have made it on to the show, let alone win! I’m just so thankful, and so happy to be able to do this,” the adorable youngster told Closer Weekly. FOX. © 2017 FOX Broadcasting Co. The talented chef was initially eliminated from the cooking competition and then brought back. She went on to defy the odds by being named the champion. Her winning meal was a three-course feast that started off with an appetizer of scallops and white fish. Her main dish was a coconut curry with green papaya salad and lobster tail. She then made a sticky rum cake with pineapple chips for dessert – to rave reviews. Co-hosts Hell’s Kitchen Gordon Ramsay and pastry chef Christina Tosi judged the amateur chef with guest judges Wolfgang Puck and Martha Stewart. Martha even asked Jasmine for the recipe for her sticky rum cake. Christina too was so impressed, telling Jasmine she could open a dessert shop and only sell the cake. Stewart says that she gets her cooking inspiration from her parents. Rare 1992 Footage Of Tupac Calling Out Donald Trump Is Shockingly Relevant In 2017! Racist Marine Vs. Black Lives Matter Protesters Gets Heated!